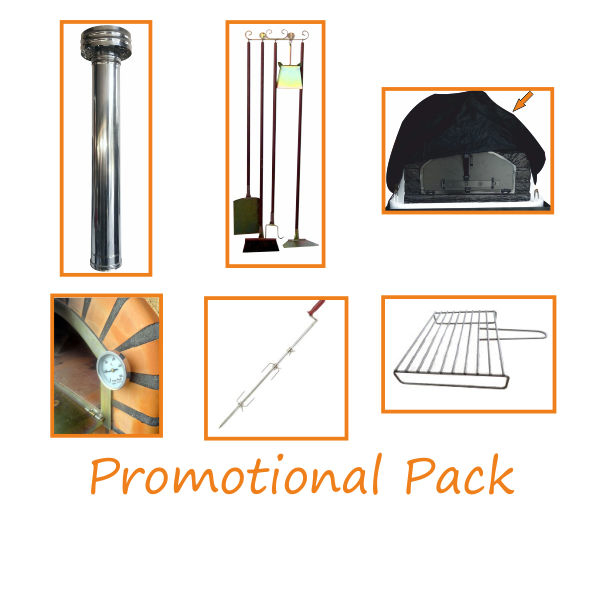 Equipping your brick oven with accessories, the promotional pack have various utensils and extra. 01 Chiminey with rain cap. 01 protection for the oven. The protection and spit with the measure of the oven.